Iron and steel materials are the most widely used engineering materials with the largest amount of metal materials in modern production and application. To enhance the surface physical and mechanical performance of iron and steel materials, surface engineering modification is applied to coordinate the different performance requirements between the substrate and surface of iron and steel materials. 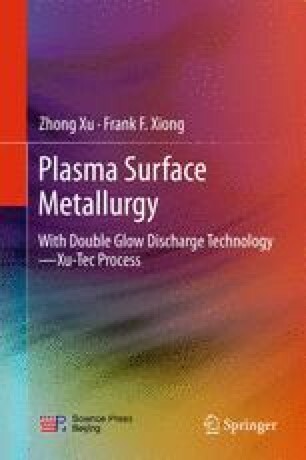 This chapter introduces both the single-element and multiple-element plasma surface metallurgy processes, to form various surface alloys on iron and steel material. In addition, the plasma surface metallurgy superalloys, precipitation hardening stainless steel, and plasma surface metallurgy antibacterial stainless steel formed on the surface of steels is also introduced. The plasma surface alloying parameters, microstructures, composition distribution, and properties of above all surface alloys are presented.